This project is a collaboration with Australian Academia and SMEs including the University of Sydney, Australian Centre for Field Robotics (ACFR), Flinders University, Western Sydney University, Mission Systems Pty Ltd & Ineni Realtime Pty Ltd and will focus on the development and integration of Aquabotix’s next generation ultra-portable swarming technology known as SwarmDiver. To achieve a variety of missions, swarms of micro-sized Autonomous Underwater Vehicles (AUVs), hosted by a larger AUV or Autonomous Surface Vehicle (ASV), are deployed to prepare and facilitate an amphibious landing zone to support any Advanced Force. This task is enabled by the integration of a next generation SwarmDiver with an autonomy engine that will plan the mission, task the swarm and monitor the rate of mission completion, rapidly adapting to changes in environment throughout the mission while coordinating with the parent task group. This advanced autonomous capability will greatly increase the speed and reliability mined areas can be cleared in the littoral, delivering a game changing advantage by minimising the adverse impact of mines on naval and commercial shipping activities both domestically and abroad. Benefiting from Thales’s global leadership in the development of advanced underwater technology, the project team’s research and development activities will advance SwarmDiver’s current sensors to include magnetometer, neuromorphic, optical and sonar, enhancing SwarmDiver’s ability to work independently and/or collectively in the execution of mission sets such as Surface Intelligence, Surveillance and Reconnaissance (ISR), sub-surface Rapid Environmental Assessment (REA), Mine-Like Object (MILCO) detection and localisation, mine target recognition and ultimately, mine neutralisation. Dr. John Best, Chief Technical Officer, Thales Australia and New Zealand said: “Thales is delighted to be working with Aquabotix to accelerate the deployment of autonomous systems and solutions in the Maritime domain. 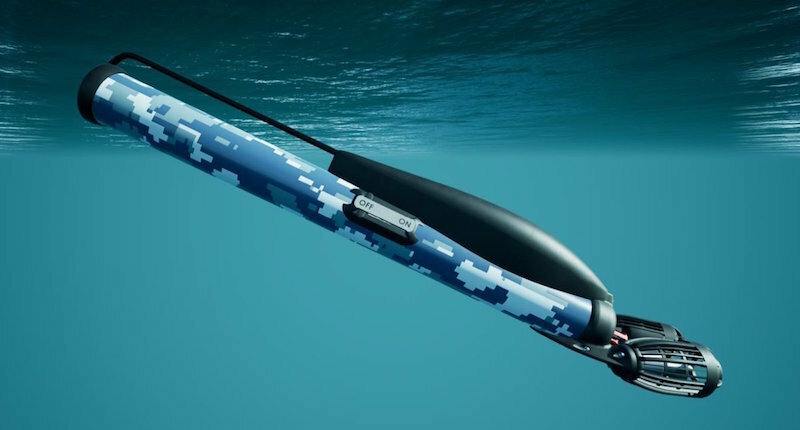 “Thales is a world leader in underwater technology and in Australia Thales has a 30-year history of developing advanced mine countermeasures systems for both the Royal Australian Navy and for export. Combining a unique diversity of expertise, talents and cultures, Thales architects design and deliver extraordinary high technology solutions. Solutions that make tomorrow possible, today. From the bottom of the oceans to the depth of space and cyberspace, we help our customers think smarter and act faster - mastering ever greater complexity and every decisive moment along the way. With 65,000 employees in 56 countries, Thales reported sales of €15.8 billion in 2017. Based in Sydney, Australia and Fall River, Massachusetts, USA, Aquabotix is an established underwater robotics company which manufactures and sells commercial and industrial-grade underwater drones for commercial, high-end consumer and military applications. It is also the first company globally that is offering commercially-available swarming underwater drones.